He’s been gone too long and we’re a little giddy with excitement that our Ross is about to be back on our screens. 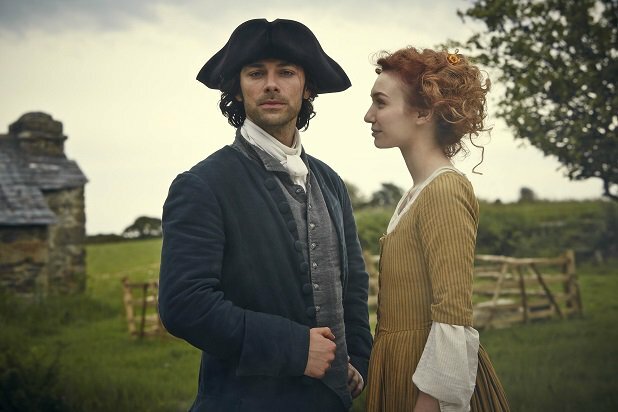 So excited, in fact, that we’ve only gone and started a live blog about the return of series 3 so we can all watch it together in some sort of 18th-century-meets-21st-century wormhole. We’ll be relaxing on the sofas of Cornwall Live HQ, shop-bought popcorn in one hand and a bottle of mead in the other, ready to see what happens with the Captain after the dramatic finale of series 2. We’ll have to put our snacks and tipple down quite regularly though because we plan on doing quite a lot of typing to give you our thoughts on it during the episode itself. You can leave comments on the link to this article on our Facebook page (we’ll be sharing a post there at 8.45pm) so we can see what you think too and have some kind of back and forth through the platforms of technology. While you’re waiting for it all to get going, make sure you’ve caught up with what happened in series one and two. And we’ve all got a feature about what to expect from the new series.